Day 22: Something I still haven’t seen in my expat country. 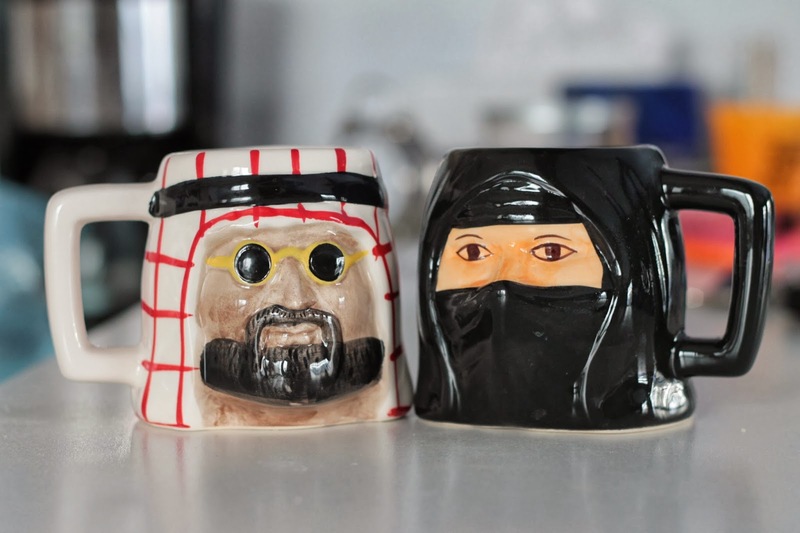 Bahrain is a strange little country. First off, it is little… so very, very little. I’m not a numbers girl- square miles and all that means nothing to me. Bahrain is roughly three-to-four times the size of Washington D.C. So I look at a map and see how tiny Washington D.C. is, relatively speaking and know that yes, even at three-to-four times that size, it’s still small. It’s also mostly desert. If you look at a map, the cities and roads stop at about the middle of the country. We, living in Riffa Views, are near the edge of civilization, here in the middle. South of us, nothing but sand (I’m sure there is some stuff but not much). We have a corniche, so to speak. Apparently, this is a great place to spend a Saturday afternoon- running up and down along the coast, having a picnic, going to the bowling ally and ice-skating rink! There are vendors with sweets and popcorn and horrible, horrible plastic toys. That is not the end of the list. I’ve seen websites with 100 things to do in Bahrain… so there must be things to do and see if there are all these lists. Bahrain has forts like England has castles- they’re all over the place. There’s one near us, but the area is not particularly nice so I haven’t been by myself. 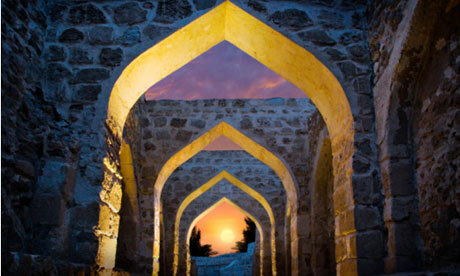 But THE ONE to go to is the Qalat al Bahrain- the Bahrain fort- and I haven’t been yet. From what I understand, it’s not particularly baby-friendly, in the way of walls to climb on and fall off so it hasn’t seemed like a good idea. The other thing about the fort is that it is located in the area where most of the protest rallies take place. There are a lot of burning tires and stopped traffic and, sometimes, maltov cocktails and that does not seem like a good place to take my little babies… or myself. I really want to go, though- a lot of local photographers use the fort as a backdrop for family pictures and it does look beautiful. I know friends with small kids have gone, so it’s manageable. We might put it on the list for things to do next weekend… just to start being brave. I’ll probably take my camera. HAHA! That's because I forgot to put the picture!! Oh my goodness! Thank you for catching that! We need to get you guys out and about! The Tree of Life is like 10 minutes away. Bahrain Fort is really safe if you go via Seef I think- but is a two parent job. We did it with a stroller okay. And the museum is amazing and like a dollar to get in- I think they have a new exhibit with Spring of Culture? Forgive me for being a completely ignorant American, but what are the protests about? C- the scary ones are anti-government protests- mainly (according to the papers) young, poor Bahraini's who are tired of the royal family and want democracy… or just something else. It's been going on for a while now and we've been lucky enough not to get caught in anything. I know! I really do need to go exploring! Ah, thanks, seems like a variation of that theme is happening the world over. Hope you continue to be out of the fray.